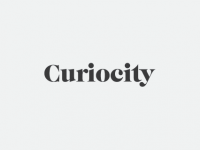 Curiocity was started by a group of young designers from leading design schools in India who felt that there was a need for a new design language for the younger generation to exchange ideas and communicate in a contemporary language in this largely contracting world with blurring boundaries. As a fledgling attempt, they have chosen cultural symbols and interpretations from the Malayali culture to create an eclectic design mix. Curiocity is a Kochi based artist collective which designs products with native themes in contemporary design to bring out the essence of a place. Started by a group of young designers from leading design schools in India who felt that there was a need for a new design language for the younger generation to exchange ideas and communicate in a contemporary language in this largely contracting world with blurring boundaries. As a fledgling attempt, they have chosen cultural symbols and interpretations from the Malayali culture to create an eclectic design mix. It is our endeavour to provide you with the best customer service possible hence we permit returns and exchanges within 14 business days of receiving the package but only incase of the following reasons. No other requests will be entertained aside from those mentioned below. 1) Wrong product received 2) Damaged product received You need to inform us within 48 hours of receiving the package or else the goods will be considered sold and no further requests will be entertained. Curiocity returns policy accepts only exchanges/replacements and not direct refunds. The returned product should be in its original packaging and in the same unused and unwashed condition as received.